Omigosh Sarah! Those shirts are ADORABLE! 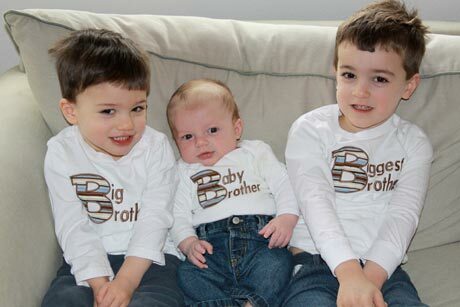 Is it just me or do they ALL have the SAME look of mischief on their faces… even Baby Brother! Extremely adorable and very much looking forward to the stories of their mischievousness in the future! Adorable! The oldest 2 look so much alike! Love their shirts! Cuteness all around!